The specs sound all sorts of awesome - the phone is very thin (7mm), but the battery didn't suffer (3,000mAh, with Quick Charge 3.0 support). An aluminum frame supports a 2.5D glass. The TCL 950 boasts a 5.5" AMOLED screen with the respectable 500nit brightness. It has 1080p resolution, which will help battery life and performance - of which there will be plenty, thanks to the Snapdragon 820 chipset. It's paired with 4GB of RAM and 64GB of storage. There's a microSD slot, a hybrid slot. The camera (which is above the fingerprint reader) sources its 21MP sensor from Sony (IMX230) and has an f/2.2 aperture. The 8MP selfie camera has the same aperture. And yes, those are stereo speakers on the front. An interesting feature on the TCL 950 is a multi-function key (the circular key that looks like an Xperia power button), which will be customized to open apps by single and double presses. The phone will be available in Silver and Gold, but no word on when. 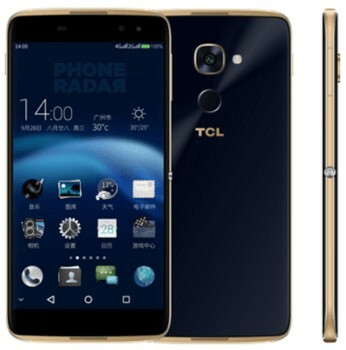 The TCL 580 is a more compact phone aimed at the mass market. It measures 7.05mm thick and weighs 135g. The phone has a 5" AMOLED screen (only 720p resolution) and is powered by a MediaTek MT6750 chipset with 3GB of RAM and 32GB storage. The Home key doubles as a fingerprint reader. 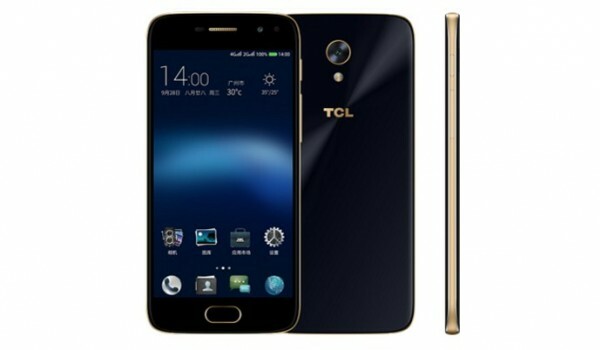 The TCL 580 packs a 13MP camera (f/2.0) on the back plus a 5MP selfie cam (f/2.2), both with LED flash. Inside the phone is a 2,460mAh battery, aiming for at least a day's worth of use. The 580 will go on sale in China October 10. How much would this sell for in original currency - CNY or even USD ? MT6750? Better go with SD425. same capabilities. MUCH better preformance. I really love the TCL 580. but horrible chipset.